Since it was founded in 1966, Project Arts Centre has always placed the vision and freedom of expression of the artist at the centre of our work. As an organisation, we believe that it is important to support, perhaps controversially, undermined or undervalued artistic messages and moments that risk being unheard, unimagined and unseen; we want to challenge the public to think beyond the status quo. Project’s mission is holistically embraced in an inclusive, progressive ethos of equality. This means we often participate in political and social issues as part of our everyday work. When a project is being led by artists (of a calibre I believe should be supported by Project) and is engaging with an issue with which Project can and should engage (such as Repeal the 8th) then I, as Artistic Director, am empowered to determine how the organisation will best show its support and engagement. As Artistic Director, it is vital to me that we allow an artist’s work to speak for itself and that their freedom of expression is supported. Project Arts Centre is proud to support this new artwork by celebrated artist Maser and The HunReal Issues. 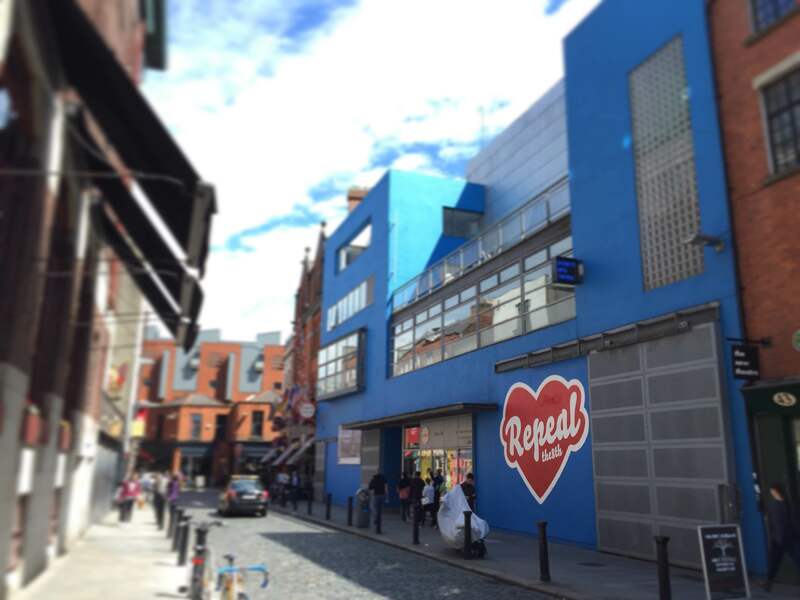 It was HunReal that Maser offered his time and artistic accomplishment to the conversation starting #RepealThe8th mural. This is an issue that affects so many people in this country and we can’t continue to offload responsibility for it and ignore it. We wanted to work with him to create something that would start a conversation and get people thinking about what it means to them.